Print Book :1 Volume, 759 pp. No supplements so you can find what you need more quickly. Case annotations provide a starting point for further research. 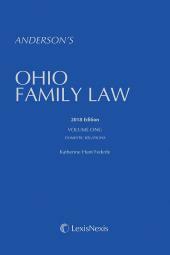 For issues involving discrimination against an employee on the basis of age, disability, gender, race, etc., consult Chapter 4112 of Page's Ohio Revised Code, and the same Chapter of the Ohio Administrative Code (OAC). Case annotations make this material especially useful. For contested unemployment compensation claims, refer to Chapter 4141 of Page's Ohio Revised Code and Chapters 4141 and 4146 of the OAC. 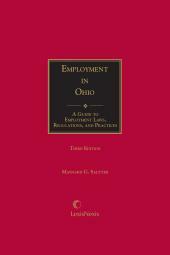 For issues concerning civil service laws and public employees, consult Chapters 124 and 4117 of Page's Ohio Revised Code. Since virtually all collective bargaining agreements for both private and public employees require arbitration of grievances, Chapter 2711 of the Revised Code, is included. 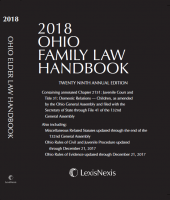 With your own personal copy of Anderson's Ohio Employment Law Handbook, you can tab, highlight, underline, and take it with you. Order a copy for each of the attorneys in your office today.